You’ve heard of spring cleaning, but how about winter cleaning? While winter doesn’t convey the same refreshing feeling of spring, that doesn’t mean you can’t freshen up your home even when there is snow on the ground. Here is the official ServiceMaster Winter Cleaning Checklist to keep your home looking healthy. Why you should be doing it: Because dust can carry pathogens that can cause illnesses, it’s important to make sure you take the time to dust. It’ll also make your home more accommodating for those who are allergic to dust. Why you should be doing it: There are plenty of reasons to vacuum your home, such as getting rid of insects that are seeking shelter in your carpet or rugs, skin cells that have fallen off of people, and other particles and debris that may be caught in your floor. Gross! Why you should be doing it: It’s important to wash your floors from time-to-time to get rid of any bacteria that may be lingering around, especially in the kitchen. Why you should be doing it: Keep your home looking fresh and up to date with paint touch-ups regularly. Why you should be doing it: Oiling wood furniture will help accentuate patterns in the wood, will keep your furniture safe from the environment if it’s outside. Why you should be doing it: Vents can get clogged with substantial deposits of dust or debris if they aren’t cleaned often. Why you should be doing it: You’ll often find marks on your wall, especially if you have kids, and wonder, well how did that get there? Instead of leaving those marks to accumulate over time, find some time to clean up your walls and keep your home looking pristine. Why you should be doing it: Your bathroom can contain a lot of bacteria and germs. Make cleaning your counters not just a winter checklist, but a weekly one. Why you should be doing it: Keep your rugs soft, get rid of stains and keep your home healthy by getting rid of dirts, dust and crumbs while washing your rugs. Why you should be doing it: baseboards are sometimes forgotten about when it comes to cleaning your home. Make sure every detail of your home is looking good by washing your baseboards too. Why you should be doing it: We can all be guilty of keeping too many clothes. Winter is a great time to go through your wardrobe and see what you actually wore in the warmer months vs. what you didn’t. Get rid of those clothes by either selling or donating them. Nothing feels better than a refreshed closet! Why you should be doing it: The winter is a good time to go through your pantry and get rid of expired food before you stocking up. Why you should be doing it: Avoid a buildup of germs, food debris and soap scum by cleaning your dishwasher. Why you should be doing it: A furnace filter that is clogged with dust, pet dander, and other particles will cause your furnace to work harder because of decreased airflow. Clean your filter to keep your furnace functioning to full form. Why you should be doing it: A microwave that isn’t cared for and cleaned regularly will be filled with food debris and other bacteria. Why you should be doing it: As you know, garbage is smelly. So it stands to reason that your garbage cans themselves will eventually start to smell as well. Washing them out every now and then will certainly help. Why you should be doing it: Everyone’s favorite activity! It goes without saying what the importance is of cleaning your toilets. A Little Overwhelmed With Your Winter Cleaning? Call ServiceMaster Today! ServiceMaster has been a leader in the cleaning industry for more than 50 years. 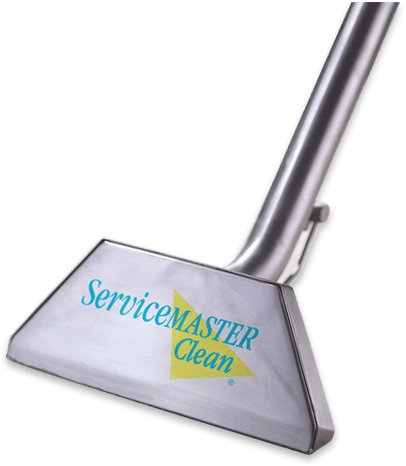 The high-quality service we are committed to providing for our clients has led to ServiceMaster being the preferred cleaning choice for many home and business owners. When we come into your home or business, you can rest assured your possessions will be treated with the best care and the cleaning your property receives will be of the highest quality. No matter the size of the job, big or small, we’ll get it done for you!